See the brilliant film ‘Sister Act’ on a large screen whilst a live 30-piece gospel choir and band accompany the on-screen nuns, sing hit songs from the film! Watch the feel-good musical film as the Uplifted Voices choir (featured on The Voice and The X Factor) give powerful, goosebump-inducing performances of songs like My God, and I Will Follow Him to give you a brand new and unique live cinema experience that you’ll thank God you didn’t miss. 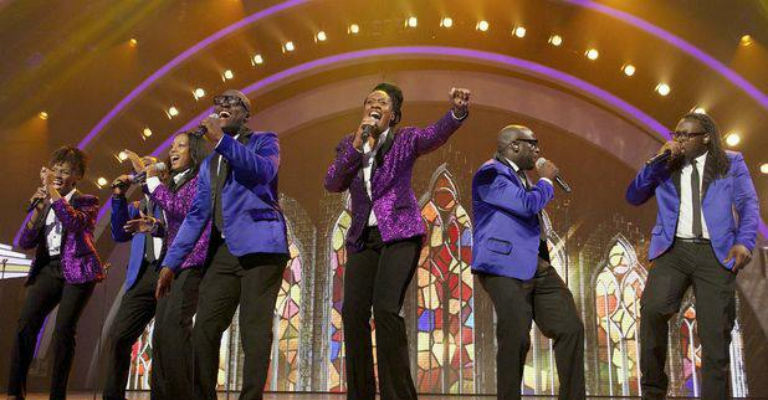 To get you into a soul-stirring gospel mood, the show opens with a special guest performance from Britain’s Got Talent semi-finalists, Gospel Singers Incognito (GSI).